The Cleveland Browns made their first wave of cuts Monday morning with, releasing six players ahead of Tuesday’s deadline to pare the roster to 75. Cleveland product Shayne Winn, the 5-foot-6 receiver who was at the receiving end of Johnny Manziel’s 21-yard touchdown pass in the team’s second preseason game against Buffalo was among the six players released. The depth ahead of Wynn was just too much for the diminutive Wynn to overcome. Joining Wynn were linebackers Moise Fokou end Everette Brown, running back Jalen Parmele, corner Aaron Ross and tight end Anthony Ezeakunne. 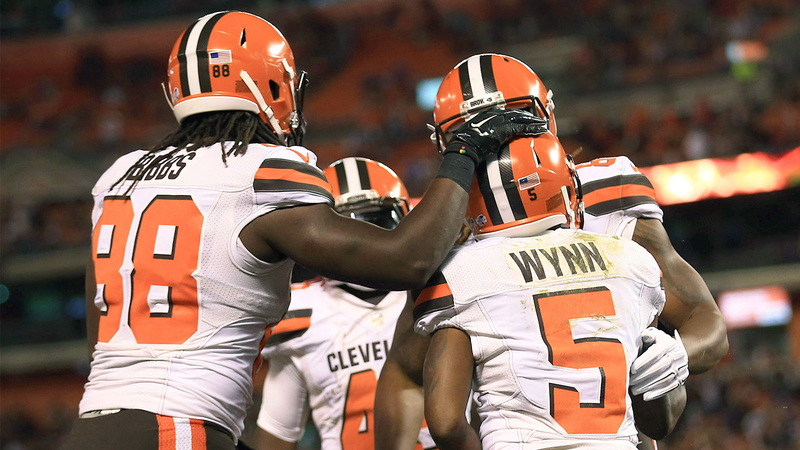 The Browns still need to cut nine more players to get to 75 by the league-mandated deadline of 4 pm.m Tuesday.